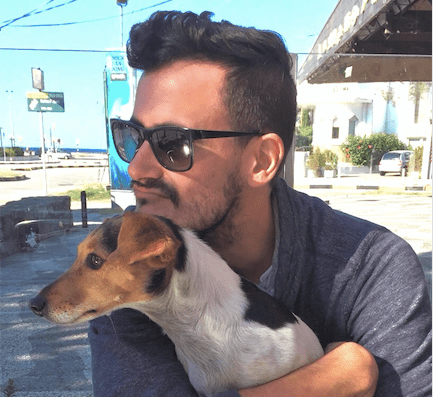 With a penchant for Dirty Martinis and Jack Russell terriers, Aitor Aramburu spends half the year somming at Vik Retreats in Uruguay. I paired Buddakan’s outstanding Edamame Dumplings with a Criots Batard-Montrachet Grand Cru 2008 two days ago, and I’m still dreaming about it. The night before last night, I had the world’s best Dirty Martini at Soho House in New York City. I’d say Salta, a stunningly beautiful region with vines up to 3,000 metres above the ocean, which gives us rich spicy wine with a very strong personality. I’m so very passionate about gastronomy but the best part for me is actually getting to know people and giving them a great and memorable time. Right now I’ve got a Chablis Grand Cru Vaudésir 2006 left. The rest is sadly gone. Getting to enjoy a nice chat, glass of wine and cigar with [cork producer] George Sabaté. Torrontés, of course! Cool but savage, loves hot spicy food, Argentine and unique (lol).